Ask anyone what they find most frustrating about Galway and you’re likely to get one of two answers — the weather and the traffic are the twin piques of just about everyone who lives here, particularly those who have to navigate their way through the city’s packed thoroughfares every day. The reasons for Galway’s traffic woes are well documented — with a bow-shaped pattern of suburban development sprawling outwards from a relatively small centre, and just four bridges taking tens of thousands of commuters across the river and back every day, congestion is almost inevitable. And while we can’t do much about the weather, improving the traffic flow is a work in progress. The main routes into the city centre have seen significant improvements over the years – roads have been widened, and many now have dedicated bus and cycle lanes. Some have seen roundabouts removed and replaced with junctions which employ smart traffic lights, making the roads safer for pedestrians and cyclists while keeping the traffic flowing. But what difference have these improvements made to the people who use the roads daily? Galway City Council actually measures the impact of these road improvements. Specifically, it measures the volumes of traffic on each of the city’s major routes in its annual traffic survey. For one week every November, the city council counts the traffic on key roads around the city, using sensors which record each vehicle — from bicycles to buses and heavy goods vehicles, and everything in between — which uses the junctions. If the improvements works on a road are successful in terms of easing congestion, there tends to be an increase in the volume of traffic that can use that road. This traffic data is now being made available on a new platform as part of an EU-funded open data project. 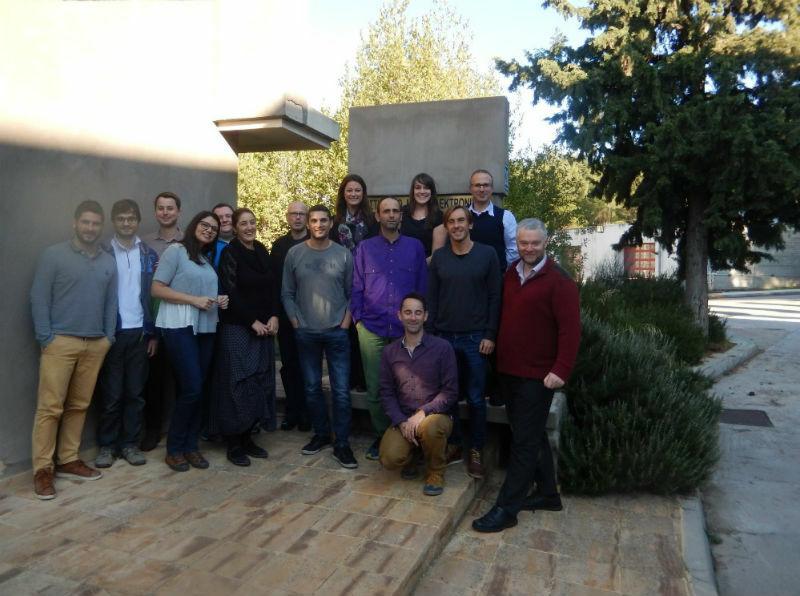 YourDataStories is a collaborative project involving nine partners in five countries. 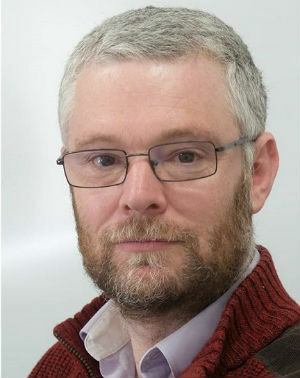 In Galway, the project is spearheaded by the eGovernment unit at NUI Galway’s Insight Centre for Data Analytics, one of the Irish partners in the consortium. The YDS project aims to provide easy access to data on public projects, from publishing the initial tenders to measuring the effectiveness of the projects once they are completed. In Galway, that means focusing on our roads. The YourDataStories team members from Greece, Germany, Ireland, Belgium and Netherlands. Much of the data currently on the YDS platform relates to public tenders across the EU — from routine administrative services to major infrastructural projects. The traffic data for Galway is just one way the project aims to join the dots between the money spent on these tenders, and how that investment affects end users. Aimed primarily at journalists, public services, and consultants, the YDS platform brings together different sources of open data, gathering all the available information on a project in one place, and provides the tools for users to interrogate and visualise this data in ways that allow the stories behind the raw numbers to be told. The platform is currently in beta, but already it contains a wealth of information on public service tenders from countries across Europe. The plan is to link this data, which comes from Tenders Electronic Daily, the official tenders publication of the European Union, with other sources related to the same projects. These sources include social data — for example from news stories, blogs, and social media — as well as official sources such as the Galway traffic data provided by Galway City Council, another Irish partner in the project. 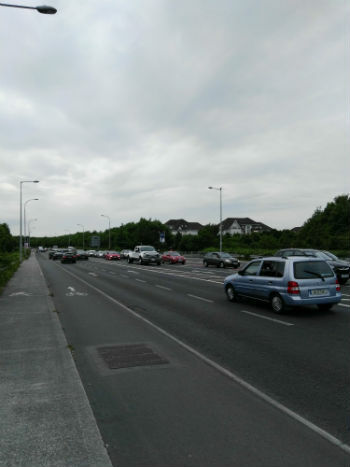 In the case of Galway’s roads, this means the YDS platform can be used to trace the tenders for the works carried out on the roads, and the traffic surveys which measure the impact of those works in terms of changing traffic volumes, along with published commentary on the roads from news and social sites. 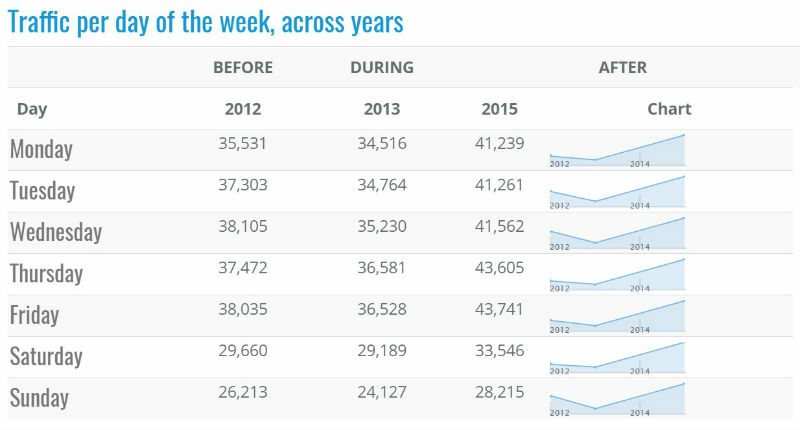 It appears that the works on key routes have indeed helped to improve traffic flow. 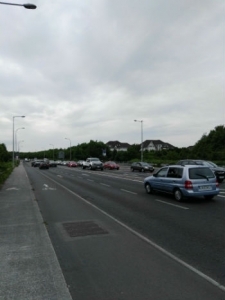 Vehicle numbers on Bishop O’Donnell Road and Seamus Quirke Road has increased by 11 per cent since improvement works were completed in 2013, adding dedicated bus and cycle lanes and improved junctions, suggesting that congestion has decreased considerably. 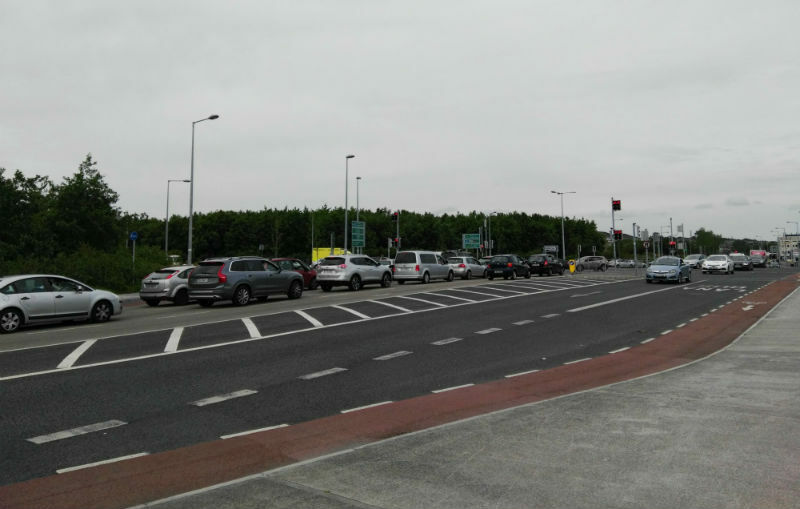 On the Headford Road, where one of the city’s busiest roundabouts was replaced by a junction with smart traffic lights as part of upgrade works on the route, traffic exiting onto Quincentenary Bridge to cross the city has increased by 12 per cent since the works were completed in 2013. Susan Loughnane, executive engineer in charge of Galway City Council’s traffic management centre, agrees. 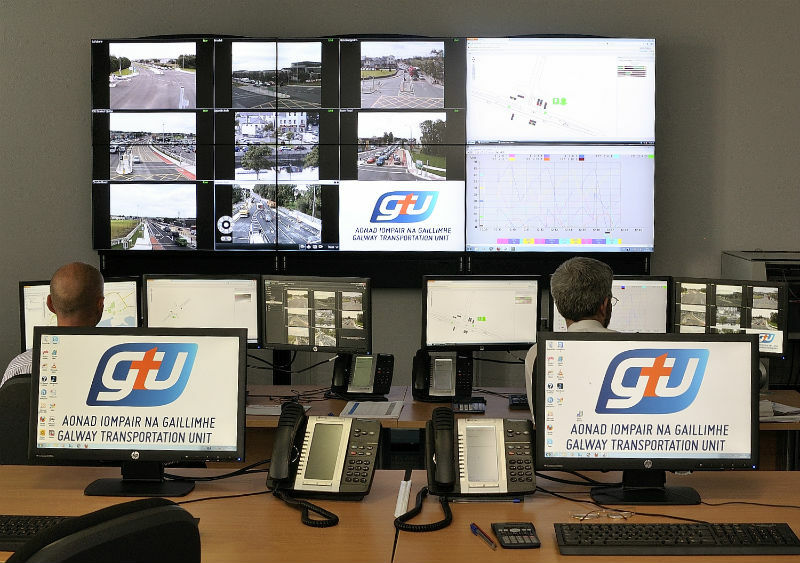 Galway City Council’s traffic management centre. The traffic management centre is a major instrument in the local authority’s efforts to improve traffic flow around the city. Smart traffic lights on main routes are designed to learn and adapt to the flow of both pedestrian and vehicular traffic. Loughnane and the team at the centre monitor the system both visually through cameras at key junctions, and digitally through monitoring software, intervening to change the light sequences only when absolutely necessary. Traffic counts exiting the Bodkin junction onto Quincentenary Bridge, 2012-2015. Image via YourDataStories. One of the main benefits of the traffic data is that it demonstrates clearly whether the investment in the city’s roads actually benefits road users. In the case of the Bodkin junction, the removal of the roundabout was met with considerable opposition, but the data suggests that it has been a success. The 12 per cent increase in traffic onto the Quincentenary Bridge means that a junction which was seeing nearly a quarter of a million vehicles a week exit onto the bridge can now accommodate an additional 30,000 vehicles. With an average vehicle occupancy rate of 1.5 people, that means an extra 45,000 people can use the road every week to access work, college, shopping, leisure activities, schools, or anything else they need on the other side of the bridge.